A dozen Asia Pacific Superyachts agents from Asia Pacific regions reported an enthusiastic response to Asia Pacific Superyachts exhibit debut at the Monaco Yacht Show Sept. 23-26. Sharing new information with superyacht owners, captains, superyacht managers and other industry professionals, Captain Charlie Dwyer of APS Koh Samui, Thailand and Langkawi, Malaysia, said of the MYS event, “We were able to answer many of our clients’ questions. It was great to meet up with our old clients and future superyacht visitors to answer all their questions and tell them of new developments and destinations in Asia and the Pacific”. Among the successful features of participating at MYS, Captain Charlie said, “APS was able to arrange private meetings on-site with superyacht owners and captains to draft custom itineraries of their regions by the APS network of superyacht experts. We were also pleased with the response to our APS Times annual newspaper and to the debuting APS comprehensive company brochure. They were a great success with current and future APS clients and, as well, distributed to all MYS exhibitors”. Etienne Boutin, heading up the APS Tahiti team, enthused about the significant interest in Asia Pacific regions during MYS, reporting: “We know of at least two large yachts that have made the decision to change their itinerary from the Caribbean to two years in Asia Pacific regions”. 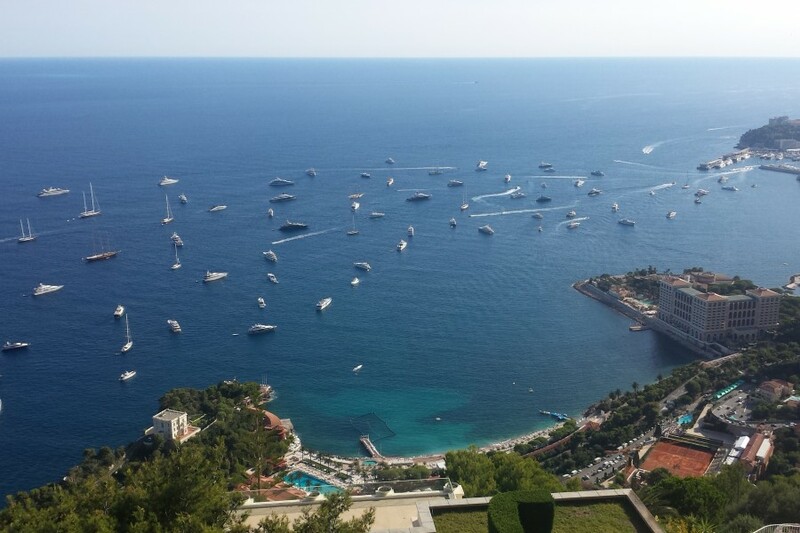 Charlie Dwyer added, “We were impressed with the amount of interest in Asia Pacific Superyachts at the Monaco Yacht Show. It was terrific to share new itineraries, charter laws in service and destinations and to learn of new interest in visiting APS serviced destinations so we can better serve our superyacht clients”. “We also enjoyed meeting up with superyacht owners and captains stopping by to express interest in our annual gathering of superyachts, the Asia Superyacht Rendezvous, held Dec. 16-18 in Phuket”, noted Captain Charlie, co-founder of the elite event with Gordon Fernandes of APS Phuket and Myanmar, celebrating the elite event’s 15th year in 2015.